1. 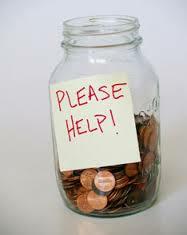 Tell Family/Friends: There was a time i had no job and i want to raise money, i tried all i could but no money. So, i turn to my friends and few falily members telling them about the business i want to do, what i want to raise the money for but was surprise when some of my friends gave me some cash to start it. You also can raise money through this means without having a job at hand. And it was fast because immediately some of then collected their salaries, i got the money from them which you also can do. 2. Sell Unwanted Items: If you want to raise money very fast without a job, i would suggest you sell of your items which i don't need at present. I sold my gold at $300 when i needed money to finance a business. Since the gold chain is not as important as i need it, then it can be sold to rasie money for better things. So if you need to raise money fast without a job, sell some of your unwanted items. 3. Sell Properties: The fastest way to raise money for a business or something else without a job is to sell some properties. Many people find it difficult to sell their properties and eventaully die without achieving what they needed the money for. Imaging a friend of mine has 3 plot of land,he fell sick and he needed money for medication but there was no money. So he never sold even a plot and died due to lack of money, i call this selfishness on his part. 4. Loan Scheme: You can also visit some financial institution to get loan even if you had no job.The loan can be granted faster if you have some collateral while some loan scheme even gave out loan without collateral. You only need to find some that are closest to you. 5. Online Business: To raise money fast without a job, you can try working from home where you get paid for your time. There some online business that are really high paying, save the money you earn from it and you it to do whatever you want to do. Since online business can be done without a job, you can some like Google Adsense, Affiliate marketing, Blogging, Sport Betting, Micro Jobs, Article writing etc. 6. Seek Sponsors: You can also raise money for your project by reaching out to people to sponsor your project. If you have genuine thing you want to raise the money for, then you can contact people around you, in your church/mosque, banks, family etc. Am sure one ot two person will give you the money you need. These are different ways to raise money fast without a job. If you have other means, please you can use the comment box to share and we will learn from you. Thanks for reading.